By Steven G. Cary, Esq. Unwanted robocalls and robotexts top the list of consumer complaints received monthly by the Federal Communications Commission (FCC). For the ever-increasing number of wireless telephone customers, intrusive communications from telemarketers and others can be not only a frustrating nuisance, but also a costly invasion of privacy. 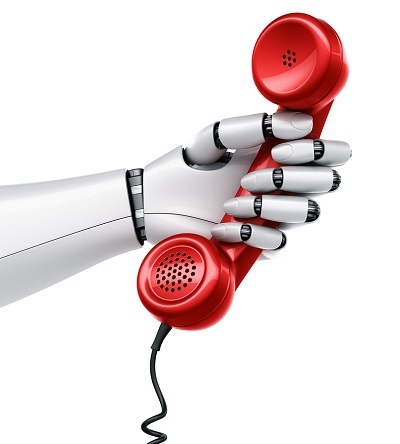 With an eye toward protecting cellphone users, the FCC issued a long-awaited order on July 10, 2015 clarifying how the Telephone Consumer Protection Act (TCPA) shields consumers from unwelcome robocalls and robotexts. Since it was passed by Congress in 1991, the TCPA has prohibited businesses from robocalling people without their prior express consent. The same goes for robotexting. In other words, if a business sends out a machine-generated text message to a person who has not agreed to receive it, that business has violated the TCPA. In such a case, a consumer may sue the business for between $500 and $1,500 per text message. If a consumer originally gives consent to be robocalled or robotexted, perhaps by providing his or her cellphone number on a contract with a creditor or business, that consumer may revoke consent at any time and through any reasonable means. For example, a person may revoke consent by calling the business, visiting one of its locations, or by simply sending a return text message requesting for the communications to stop. Also, in the context of debt collection auto-dialed calls, the FCC Order makes it clear that a consumer can orally revoke consent by simply asking for the calls to stop. Even robocalls and robotexts placed to the wrong person can violate the TCPA. A wireless customer with a new telephone number who receives automated communications meant for the previous user of their number may still file a complaint; however the caller or texter gets one free pass due to the error, as long as they were not aware of the telephone number’s reassignment. In other words, if a consumer receives an auto-dialed call or robotext meant for the previous owner of his or her cell number, once the consumer notifies the business of the error, the robocalls and texts must stop. If they do not, it is a TCPA violation. Instant communication has made our world more interconnected than ever before. Because new technologies provide businesses more and more access to potential customers, protecting individuals from unwanted intrusions into their private lives by creditors and debt collectors has become a crucial aspect of consumer advocacy. The attorneys at LeavenLaw vigorously represent consumers dealing with these intrusions and other forms of consumer harassment, and possess the knowledge and experience necessary to file a successful TCPA complaint. If you or someone you know has received unwanted auto-dialed calls or robotexts, please call LeavenLaw today for your free consultation. In most cases, the business or debt collector must pay your attorney’s fees if you prevail, and you may be entitled to significant monetary damages. For more information, please visit www.leavenlaw.com or call 1-855-Leaven-Law.